Varieties are OK, not as much as the jewelry market or toys market. 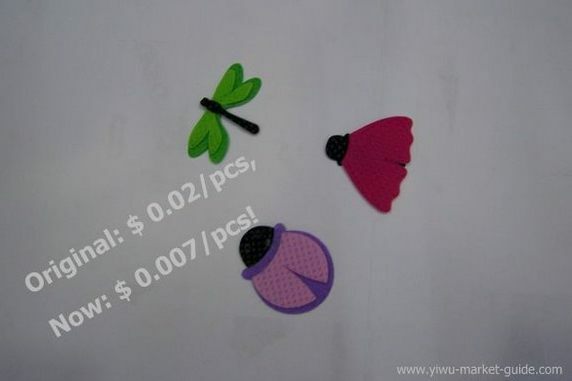 Prices vary from a few cents to a few hundred dollars. Minimum Oder are accepted from dozens pieces to a few hundred. 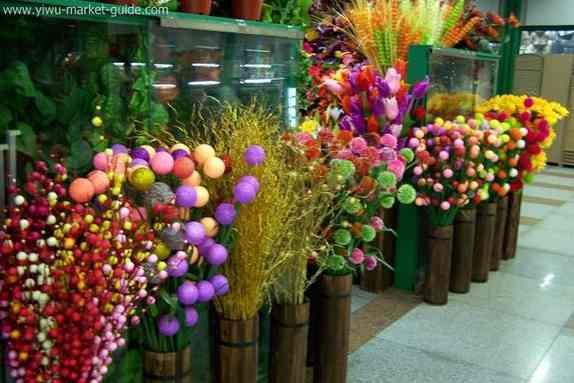 Any Bargains In Artificial Flowers Market Yiwu? You can find some bargains now and then inside the market. Some are clearance sales, some are leftovers. 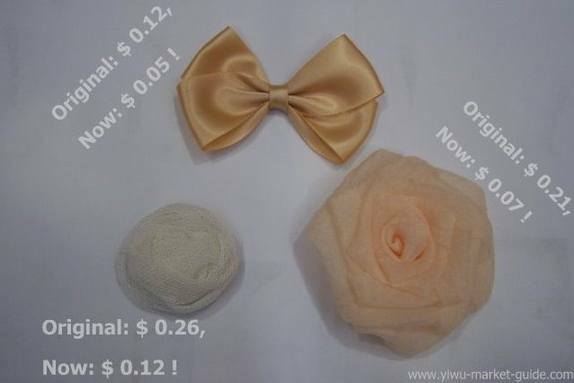 These items usually have a 30%+ off discount price, for the same qualitiy. These flowers are last year stocks. You can see the price gap. Mrs. Ding, a sweet young lady running the booth inside the market, while her husband is working inside their factory. 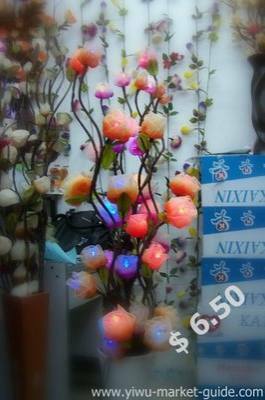 They produce and sell all kinds of silk flowers, to both local and abroad market. You can see the stuff beside her. They are also very good at putting up new models. You can always expect something new inside her shop from time to time. Mrs. Chen, a happy lady always in good spirit. 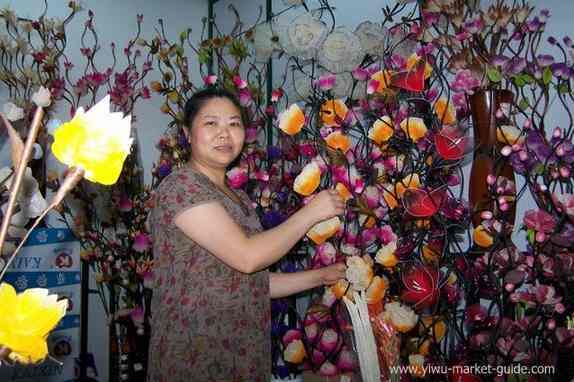 Their factory is located in Pujiang, a very famous city for fine crafts in China. They produce dry flowers of all kinds. To me, this market is just the right size, not too big, yet have plenty choices. You can easily finish browsing within a few hours . If you also want to visit other sections of this huge market, you need to save your legs with the right equipments. Like light comfortable shoes, backpack and a pulling luggage for samples. Again, browse according to the booth numbers, block by block. So you can cover as much as possible. #1 To show clearly what products they are dealing. #2 To protect their new models by hiding them inside. So you need a bit judgment to decide whether to step in. it's not always a "what you see is what you get" pattern. Some shop owners frown at taking photos without permission. So ask first. If they say no, you may need a bit more explanation or leave them a business card. Most of them don’t care. For all the products displaying in a shop window outside, there is no problem at all. 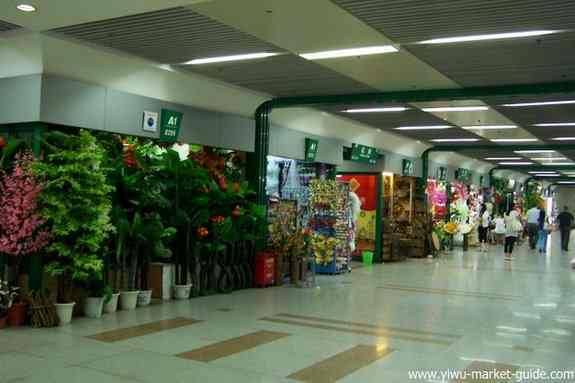 >> Return to Yiwu Market from Artificial Flowers Market Yiwu.